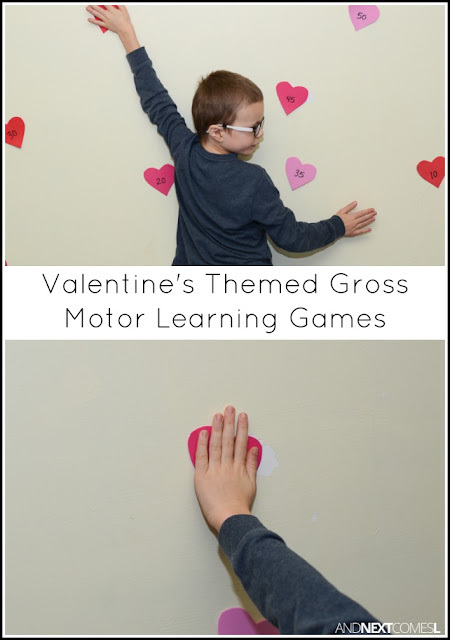 Simple gross motor Valentine's Day activities for kids that will get them moving and learning. When it comes to activities for my kids, I like to make sure it is easy. And I also like to make sure that it gets my kids moving since, well, I have two boys and they always seem to have excess energy! 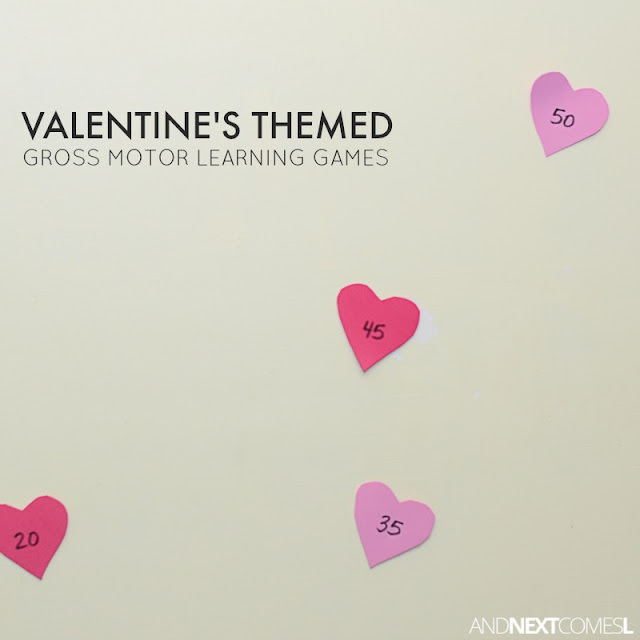 These simple Valentine's themed gross motor learning games are the perfect way to get the kids moving and practicing math, sight words, spelling, letter identification, and more! We did a math spin on this gross motor game, but you can definitely extend it to cover any topic you'd wish. You can find all of our variations over on CBC Parents. Also, if your kids enjoy nerf guns, then try combining these learning games with this shootout activity.